Quick note: In the example workflows below, we’re using Zapier to pair Slack + Disqus to work together. This is a bit different from a native Disqus app integration in Slack but it’s something we’re exploring to add to our list of supported integrations. Let us know if this is something that would be helpful to your team! In the Site Configuration settings, you can turn on email notifications whenever a comment is flagged. If you moderate an active community though, these notifications can get really noisy. What if there was a way to notify moderators of comments only that hit some minimum threshold of flags? In a new Zap, select the “New flagged comment” trigger. Limit this trigger to only run on comments that receive more than X flags by setting a filter on the column “Num Reports”. The threshold that works best for your site will depend on the average number of flags submitted. Moderators spend the most time approving comments that have either been flagged by users or automatically by Disqus. Not every flagged comment however requires moderation action in accordance with a site’s community guidelines. Rather than reviewing a never-ending stream of pending comments, use this workflow to better prioritize the comments that need your attention. If you have more than one moderator manning the helm, you might find it useful to create a Slack channel of all the latest comments from moderators. 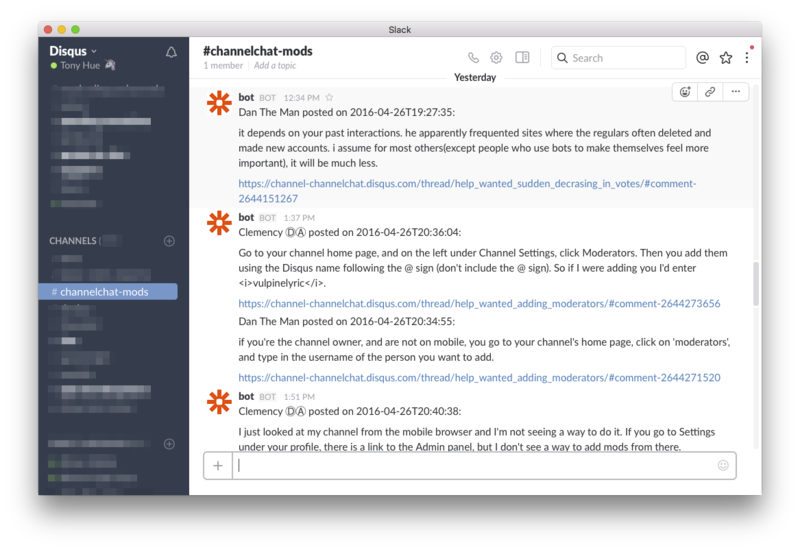 Especially for teams working across multiple time zones, a Slack channel gives everyone on your team an at-a-glance view of where moderators have been present and the discussion that are picking up. To set this up in a new Zap, start with a “New Comment” trigger. Use a filter on the Author Username column and designate the individual usernames for all of the moderators in the site. In the Moderation Account settings, you can enable email notifications for newly posted comments. However, this also includes all comment replies. For sites with highly-active communities that routinely draw hundreds or even thousands of comments per day, that simply won’t scale. One solution to cutting down on some of this noise is to check for only top-level or parent comments to a thread. In Disqus channels, you get notified whenever someone posts a top-level comment in your discussion. You can achieve a similar result in Slack. Create a new Zap using the “New comment” trigger. Set a filter for comments on the Parent column and make that equal to “Does not exist”. 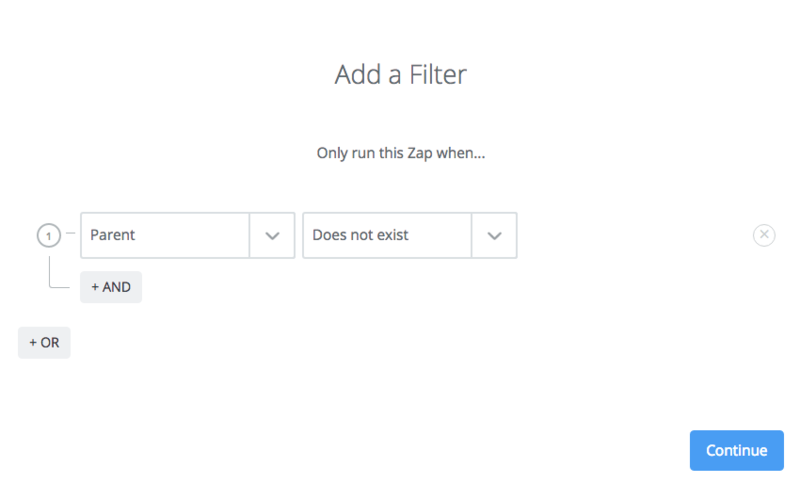 You can also filter by specific threads using the Thread ID column but this requires manually updating the Zap for every thread you want to get notified by. This workflow is particularly helpful for engaging with your commenters. Since we know how valuable replying to commenters is to cultivating an active community, use this solution to let your readers feel extra special whenever they comment! In Disqus, you can mention users in a thread that links to their user profile. Mentions also occur via other organic means such as using shorthand versions of someone’s display name. In some tighter knit communities where the moderators are active daily, it’s not uncommon to see readers reference specific moderators by name in their conversations. This workflow lets you stay on top on whenever your readers may mention you either directly or indirectly so that you can pop in to answer their questions. 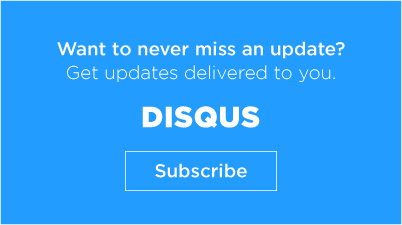 Pairing Slack with Disqus is only the tip of the iceberg. 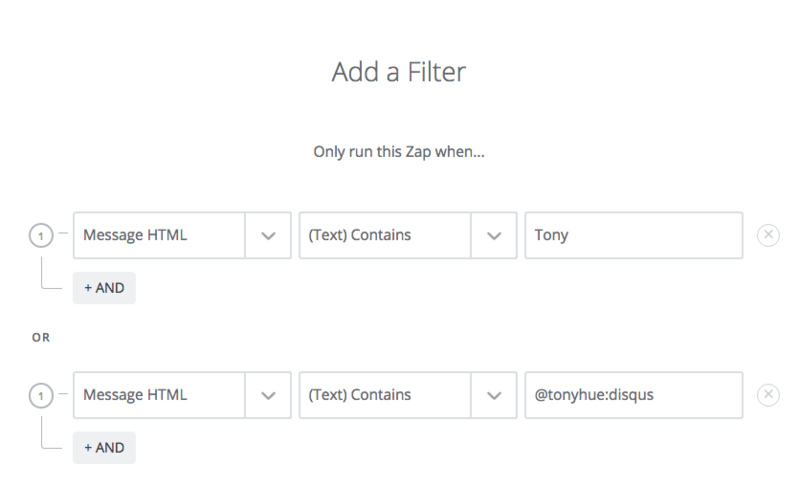 With Zapier, you can develop workflows with hundreds of the most popular apps to work alongside Disqus. 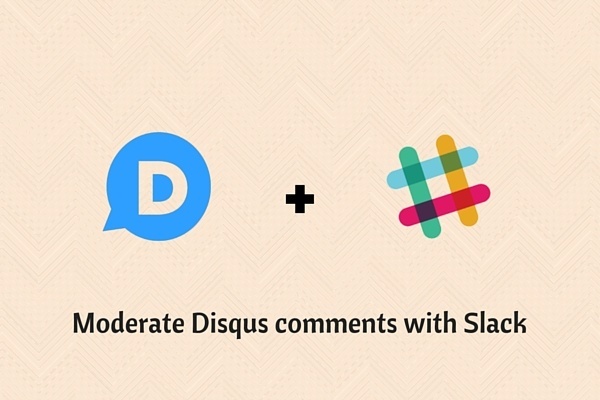 Does your team use Slack for moderating comments on Disqus? If not, is Slack something you use for team communication and collaboration? Let us know in the discussion below.